When Amanda and Ian ditch their mates and marry, the lovelorn Tessa and Rob solace and wed each other, and plan to live happily ever after—until Tessa decides to become pregnant. Appalled for reasons he won’t specify (although he does shout, “You’ll be a MOTHER!”), Rob stops sleeping with Tessa and reignites his relation with his ex while his forlorn wife, estranged from her cleric dad and missing her own long-dead mum, tries to establish contact with Rob’s mother, Linda. At first furious, Rob agrees to meet Tessa at his parents’ home, but by the time they arrive, someone’s bashed poor Linda’s head in with that staple of the British mystery, a fireplace poker. Although Rob still refuses to discuss why he loathes his mum, and the police seem to be making no headway in her murder, Tessa ferrets around, discovering that Linda may have been a prostitute, a madam, or something even worse. Certainly Linda’s chief mourners—a banker, a hospital porter, a copper, a wealthy entrepreneur, and a vicar—all share an embarrassing secret, and blackmail potential. The vicar will be coshed with a sacred antique statue, and Tessa will be pushed down the stairs, before a former coworker and friends from a neonatal clinic save the day, if not Tessa’s marriage. 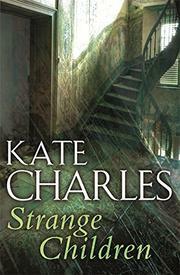 Charles, admired for her ecclesiastical mysteries (Evil Angels Among Them, 1995, etc. ), tweaks the clergy for their emotional reserve, lays on the psychological suspense and neurotic compulsions, and offers a vade mecum to first-trimester pregnancy.